It is used for transportation of cadaver. The opening is with central zipper . Army Dead Body Bags are provided with 3 Supporting straps on each side. 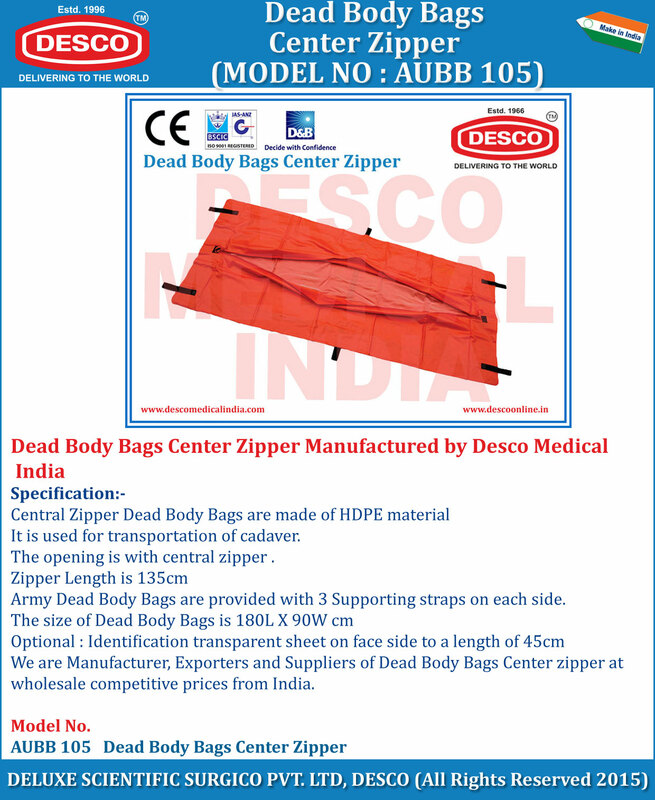 We are Manufacturer, Exporters and Suppliers of Dead Body Bags Center zipper at wholesale competitive prices from India.